At the Rager Law Offices, we want to help you if you believe you have been discriminated against in the workplace. When you need a Pasadena workplace discrimination attorney, you can contact us. Sometimes stories catch our eye and we cannot help but pass them along to you. We do not do it because it is shocking or rare, rather, we bring you these stories to highlight how certain workplace behaviors have never really gone away. We have made major strides over the last 70 years towards workplace equalization. Whether it is closing the gender gap between pay for men and women or ensuring that the workplace is diverse and accepting, the overall picture looks much better than it did in the 1950s. Unfortunately, racism in the workplace is prevalent. It usually does announce itself outright. Often, it is a feeling that is underneath the surface. Jamel Parker started working at the airline in 2013, which is also when he heard about a “white only” breakroom that the African American employees were not allowed to use. And that was only the beginning of the discrimination. Parker alleges that there was an incident where a noose made of bungee cords was constructed to intimidate black employees. Yes, a noose, one of the worst symbols of racial oppression, was supposedly constructed. It only takes one look at certain statistics to gain an understanding of how much work there is to go for racial equality in the workplace. African Americans make up approximately 12 percent of the US population. Achieving racial equality should mean that African Americans make up 12 percent of management positions. They do not. Today, African Americans make up just 6.77 percent of managers for companies with 100 employees or more. Those numbers get worse when comparing population size versus management positions held by other races. When we talk about race relations in this country, many people assume that there is workplace equality because there are so many state and federal laws that prohibit discrimination in hiring practices. Unfortunately, people often face discrimination after they are hired and it happens in ways designed to make them feel uncomfortable. Often, people facing this type of discrimination never report it. It is hard to prove that the culture of an entire workplace is designed towards racism, especially if supervisors and managers are part of the problem. Jamel Parker was eventually terminated from his position. His employer said that he damaged a power cord and did not report it, but Parker says that fellow white employees committed similar acts and were only lightly punished. Was Parker terminated because he was black? You will not find any company that says they practice discrimination, but often, what the corporate office says does not match what is really happening on the ground. At the Rager Law Offices, we want to help you if you believe you have been discriminated against in the workplace. 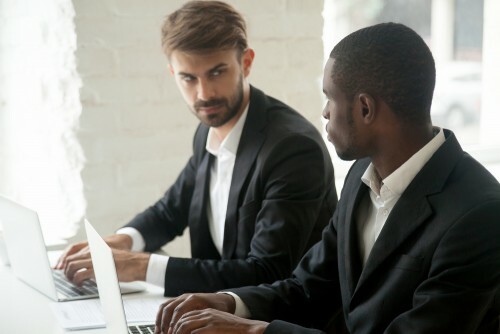 When you need a Pasadena workplace discrimination attorney, you can contact us by clicking here or calling us at 310-527-6994 for a free consultation.